Our SIU Salukies 2x3 Flag is constructed of thick two-sided polyester, measures 2'x3', has double-stitched fly ends, and metal grommets. 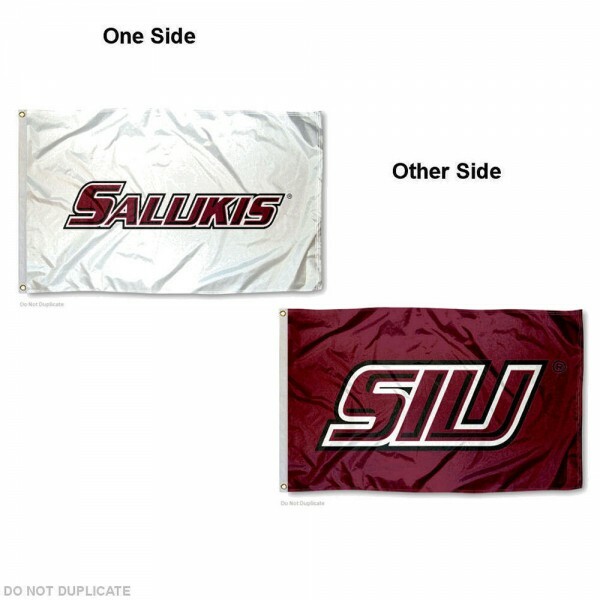 The Official Southern Illinois University 2x3 logos are screen printed into our flag so the logos will not peel. This flag has logos viewable on both sides, as shown.